Just a little higher! 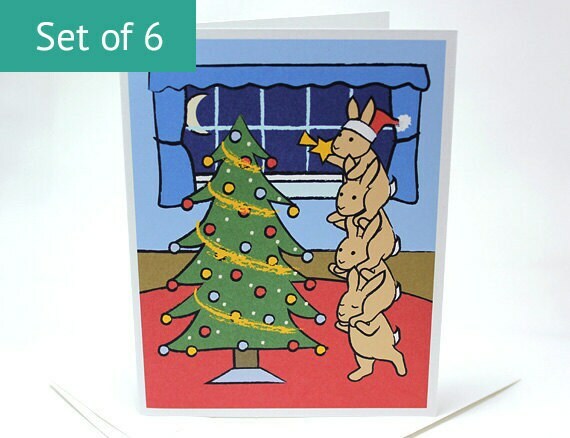 These little bunnies love working together to make their Christmas tree festive and bright. Send holiday greetings to friends and family with these adorable Christmas cards featuring the little bunnies putting the finishing touch on their tree. If you would like the inside to say something else (Merry Christmas, Seasons Greetings, etc. ), please note your preferred greeting in the Notes to seller area during checkout.